Ayush Sharma, the son of a mechanic in Public Works Department (PWD) from Kanpur, has been accepted to Massachusetts Institute of Technology (MIT), USA, class of 2019, for their Undergraduate Program. MIT is considered as the best engineering college in the world according to US News. Despite his impoverished background, Ayush is a highly motivated and determined student. “I don’t want to limit my learning just to myself. I want to make real impact in the community around me…I am excited to not only advance my individual academic pursuits but also engage in cutting-edge scientific work that actually changes lives.” says an enthusiastic Ayush, on the prospect of joining MIT. 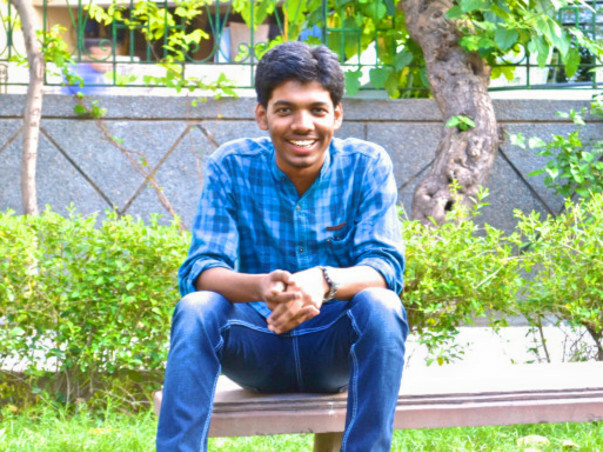 Ayush has been a student with Avanti Learning Centres (Avanti) since 2013. Avanti is an award-winning education company that runs affordable IIT JEE and science and math test-prep classes across India. His journey to MIT began with selection to Yale University’s prestigious Global Scholars Program in 2014, where Ayush secured a full tuition waiver. The competitive summer program targets outstanding high school students globally, giving them the opportunity to meet a talented community of fellow students, engage with world-renowned professors and interact with extraordinary visiting experts. “When I first assessed Ayush for our study abroad program, I was not sure he would be able to cope. His communication skills needed work and there was little precedence of low/middle-class Indian students qualifying for top US schools”, says Taylor Gregoire-Wright, a Yale graduate who led Avanti’s foreign applications program. After his experience at Yale, Ayush decided to apply to colleges in the US. For this, he needed to balance his SAT preparation along with his IIT JEE prep. Amazingly, he continued to excel at both. English was his greatest challenge given his limited exposure while growing up. Ayush’s story with its humble beginnings is awe-inspiring and we at Avanti endeavor to help achieve his dreams. This is only the beginning of what is certain to be an immensely rewarding journey for this incredible boy from a small town. We wish him the best! Although MIT has granted Ayush a scholarship for his tuition, his living and travelling expenses still need to be covered. Every support counts - your contribution of Rs. 500 or more can help Ayush with his relocation and daily expenses. Please help us do our bit in ensuring that Ayush becomes first of many incredible stories that defy all odds and becomes an inspiration for others in similar situations!